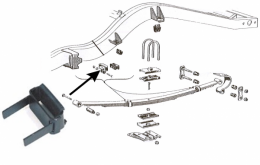 Rear leaf spring clamp - includes liners. 6 required per car. Top quality, made to last.